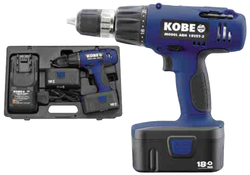 Our wide range of this VariableSpeedTappingDrillingSystemis chiefly designed with robust composition and easy to operate features. 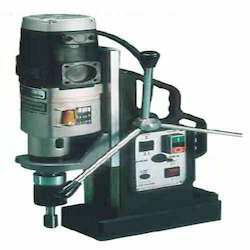 These are widely used for tapping, reaming and drilling of large diameters. Our products are available in varied models and are demanded for their trouble-free functioning and low maintenance. Clients can avail these as per their requirement and these products are tested by experts on various terms and condition before sending them to the client. ABH 18VET-2Heavy duty motor and gear box. Integral bit holder anda 12 month warranty.No load speed: 0 - 510 and0 - 1,600rpm.Max torque: 34.3Nm. Blows per minute: 0 - 20,500bpm. Capacities: steel 13mm, wood 38mm, aluminium 15mm, masonry 13mm. Batteries: 2x 2.0Ah NiCD Accessories: 1 hour charger, No.2 cross point and a 4.5mm flat bit. Looking for Drilling Machines ?